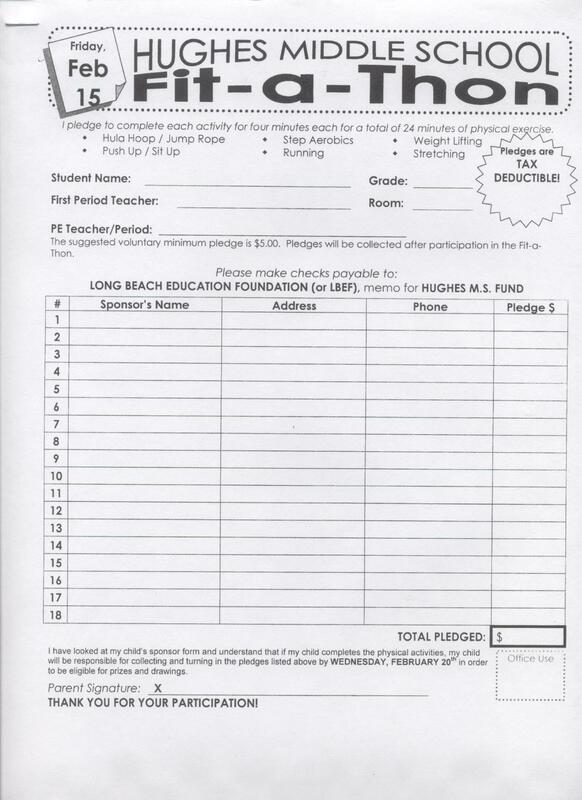 In an effort to alleviate some of the strain from the current budget crunch, Hughes Middle School along with the PTA will host a Jog-a-Thon fund raiser on October 30, 2015. 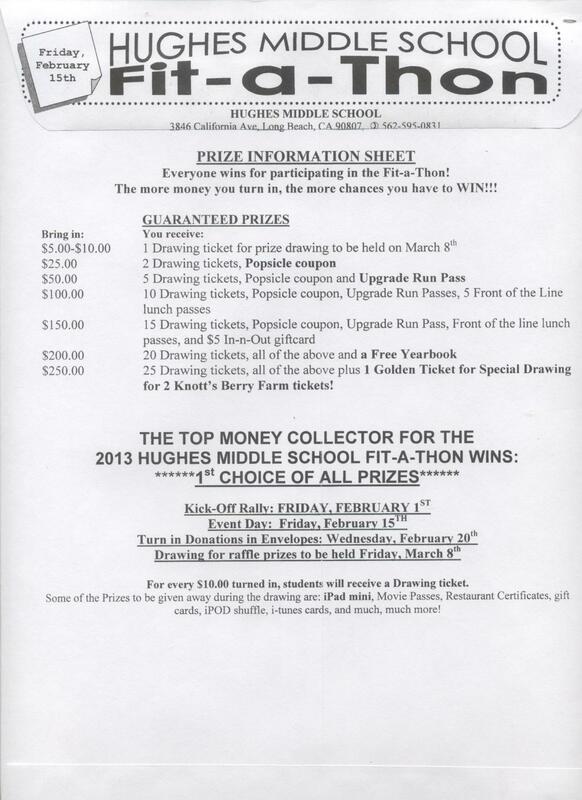 Students will compete for many great prizes by acquiring sponsors and participating in the fun-filled day centered around health and exercise. Students will complete a 2K course that is designed by the PE Department. The course will be flat, fast, and fun! The date to turn in donations is November 5, 2015. All donation money should be turned into students' first period teachers. Checks should be made out to: Hughes PTA. You also have the option to donate on Pledgestar at http://pledgestar.com/hughes. The drawing for raffle prizes will be held on TBD. Good luck and congratulations to all who will participate! Students, in order to publish your name or image on this web site, you must have this Consent Form (PDF) filled out, signed and returned to Mr. Gollner.